These "Custom Built" Lake Water Filters are made specifically for lake water systems for lake property such as lawn irrigation systems and water supply for other non drinking purposes. 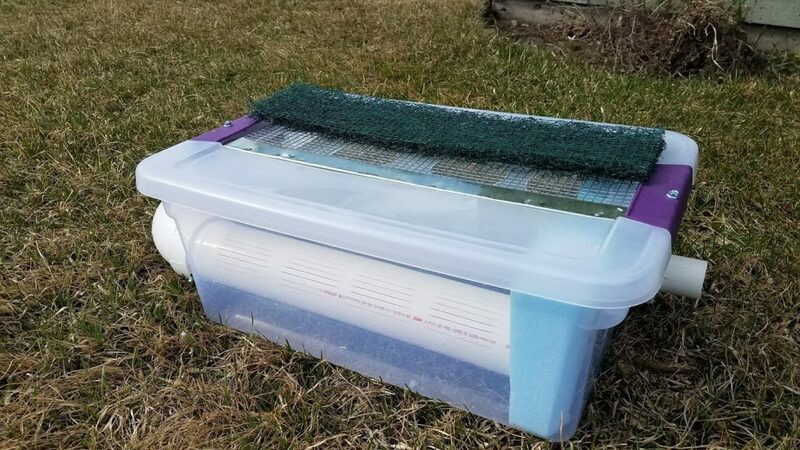 Our filters do an excellent job of filtering the water coming into your water system by using a custom designed and manufactured filter that has been tested and proven to be an excellent method for filtering out sand and debris without clogging up. 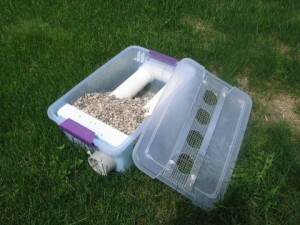 If you have a nearby water source - you can use this filter. A lake, pond, river, lagoon, creek, spring, or any water water basin will work. In the demonstration pictures above, you can see the clear water coming out at the top. The water is being pulled from the dirty, unfiltered, foggy water in the tank where the water filter is located. 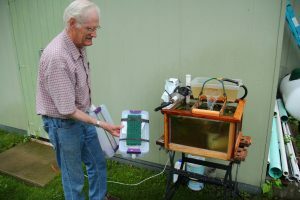 Reuben demonstrates the water filter in action, showing how the water filter provides clear water from a tank filled with weeds. Reuben demonstrates and explains the 4 filter water filter setup. 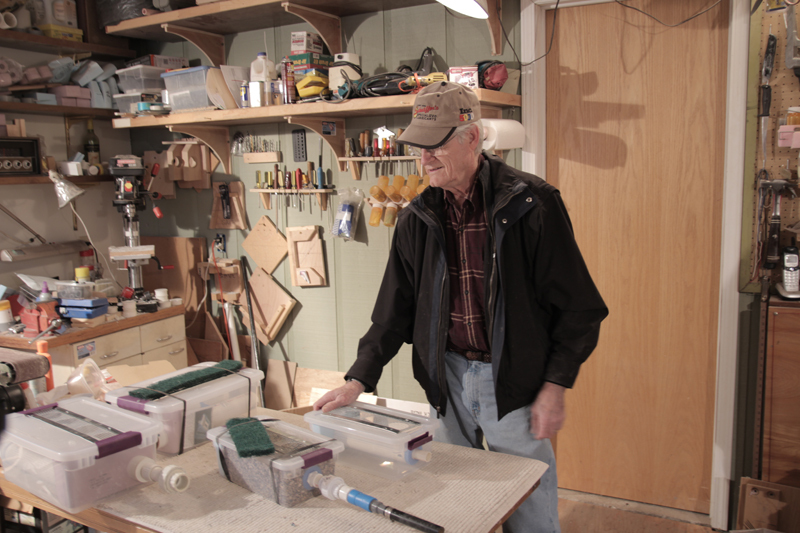 Reuben shows the newest version of his popular Lake Water Filter in this video. Check the order page for ordering information. Or contact Reuben with questions. Thanks for watching! Here’s a picture of the new design. It’s for very shallow water. 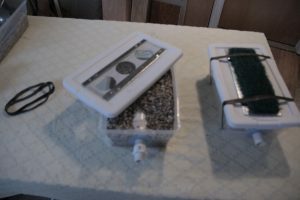 These lake water filters are contained in a tub that holds the pea rock and filter. 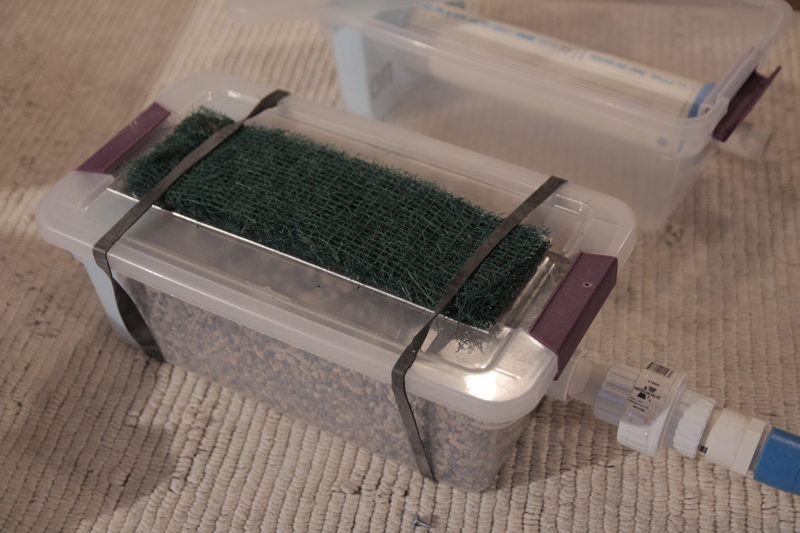 The tub configuration makes it easy to slide the filter out of the lake without wading into the water. It can be installed in as little as 18 inches of water. Here’s a picture of a water filter that has been in use for 2 years. It still works great and has not plugged! Tim kimpling on New Shallow Water FilterHow many microns are the filters that you use? Jeff on New Videos for Lake Water FiltersYes the filter is reusable. It can be easily cleaned. 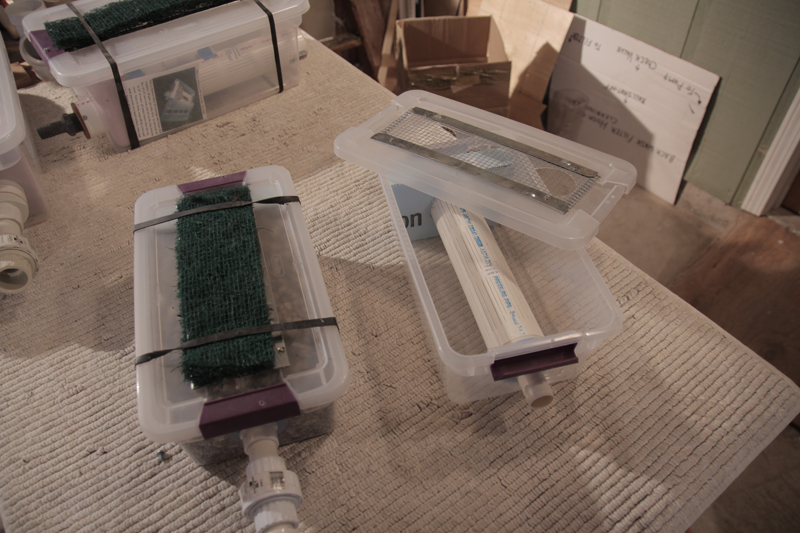 julio on New Videos for Lake Water FiltersThis filter is reusable? Thanks. Jeff on New Shallow Water FilterYou could but this filter does not make water safe to drink. It's mainly for lawn irrigation systems. jerry bolton on New Shallow Water Filtercan i use this with my camper at lake? m.limn on New Design for Easy Removal from LakePlease send informationon new lake water filter.....description and price. Thank you. /M.L. Jeff on New Shallow Water FilterThe backflow valve is not included. You shouldn't need one though. 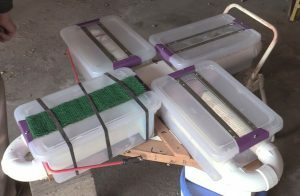 A demo and explanation of the 4 filter setup for larger water needs. This setup will handle up to 100 gallons per minute. OLDER VIDEO DEMO OF THE LAKE WATER FILTER In these videos we are showing a demonstration of the 15 gallon per minute lake water filter. 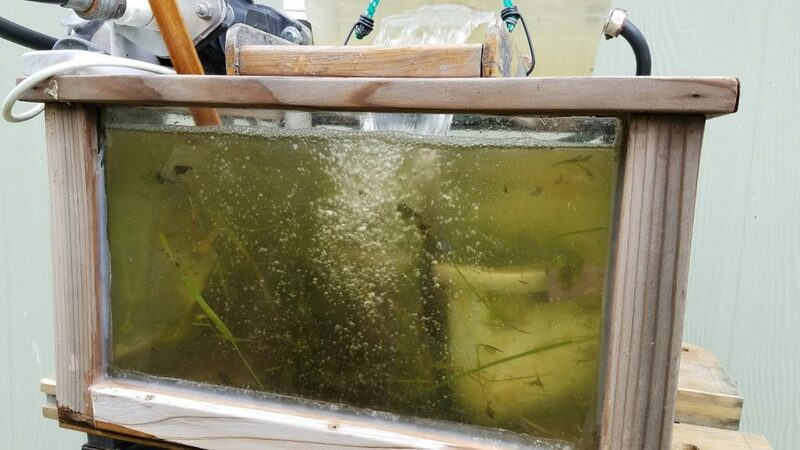 The filter is in the water tank at the bottom covered by weeds and grass. The water coming out the top is clear as you can see in the video. 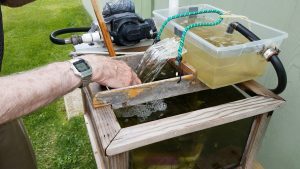 DEMONSTATION OF THE LAKE WATER FILTER THAT DOES NOT PLUG - NOTE: The video above shows the older filters that get placed into a 5 Gallon Pail. We no longer sell these filters that go into the pail. 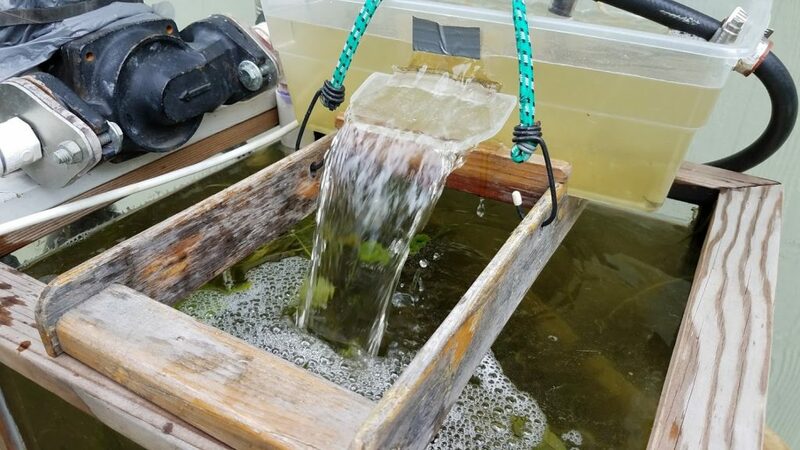 A newer video showing how the lake water filter does not plug up even when pumping water from a tank filled with weeds. 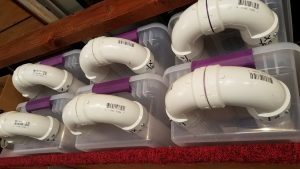 The lake water filter is made of PVC pipe that is carefully crafted with specifically sized slots that allow an excellent flow of water without clogging. 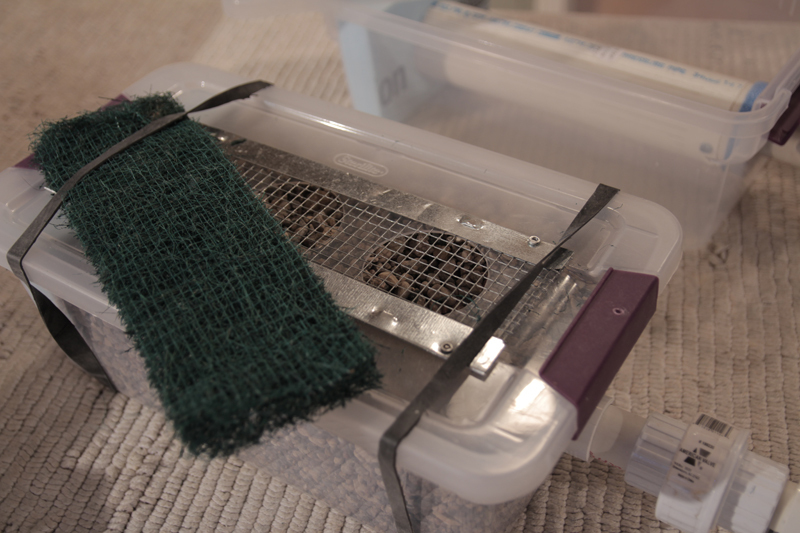 A large continuous amount of water can be run though the filter. We have measured 10 gallons per minute and more. Using lake water for irrigating your lawn has advantages including prevention of iron stains. 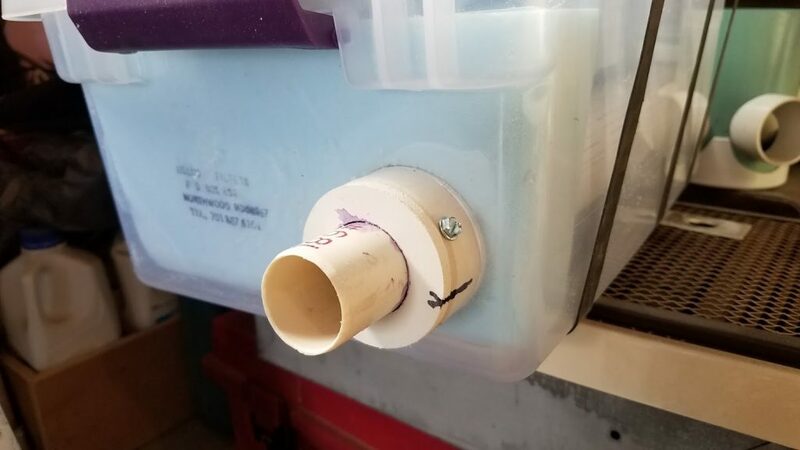 The lake water filter is made of PVC pipe that is carefully crafted with specifically sized slots that allow a large amount of water to flow through without clogging up. For our lake water filters pricing go to the order page. Contact us if you are interested in becoming a reseller.